Jason Concepcion: The meticulously designed ball movement. The egalitarian offense. The progressive-minded coach plucked from the vaunted, fertile, and long-lived Popovichea Spursentalis species of coaching tree. The multitalented veterans. The historically great shooter who is more than just a shooter and who runs underwater while holding a stone as part of an ancient Japanese purification ritual. The bespoke, hands-on player development regime. The beautiful do-it-the-right-way craftsmanship that has made the Atlanta Hawks the de rigueur choice for the discerning NBA fan. In his absurd Game 1 performance in the Eastern Conference finals, J.R. Smith took all of those things, chopped them up, rolled them in the numerous multithousand-word articles written about the Hawks this past season, and smoked them straight to his head. 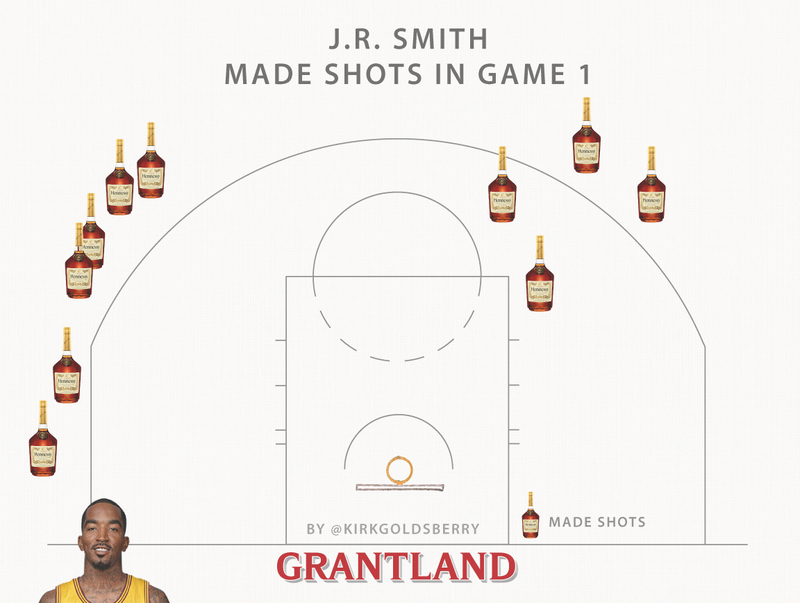 After the game, J.R. insisted that he was trying “to take good shots.” Which is sound strategy. Using ball and player movement to find high-percentage shots is crucial for success in the modern NBA. It’s also not really an accurate assessment of what J.R. did in Game 1 or, for that matter, Game Any Ever. In the second quarter, he took and swished an off-the-dribble 3 while being doubled by Kyle Korver and Mike Muscala. In the third, he went between the legs, then stepped back to the corner 3, launching over Kent Bazemore. 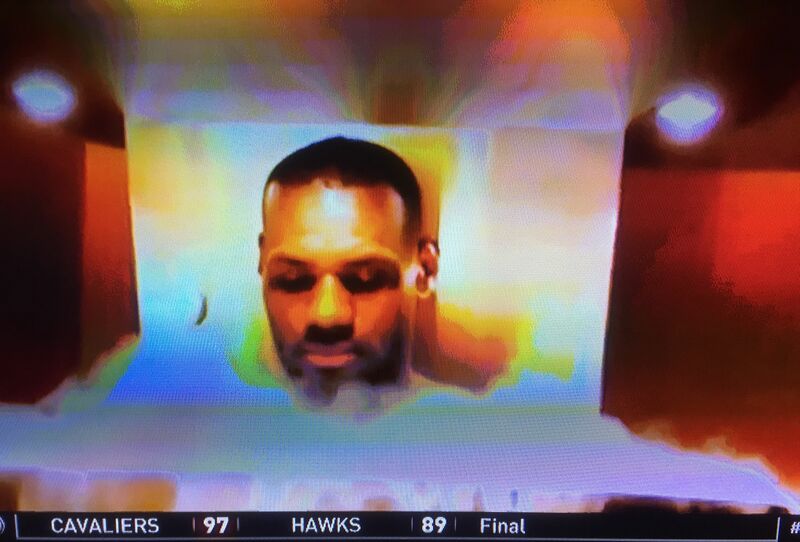 He scored 28 points, grabbed eight rebounds, and set the Cavs’ playoff franchise record for made 3s with eight — four more than the entire Hawks team. Immortality: achieved. And this is the beauty of Smith’s game: He has that often maddening, sometimes solid, and occasionally transcendent vibe of the guy in college who partied all the time, studied only rarely, and somehow managed to bluff and blunder his way to a 2.75 GPA while having more fun than anyone else. This is the dude you had to stop hanging out with because you realized you were accruing more than 20 years of student loan debt to learn how to make bongs out of PVC pipe. Hawks coach Mike Budenholzer might want to think about asking 2 Chainz to show J.R. Smith a good time in Atlanta this week. 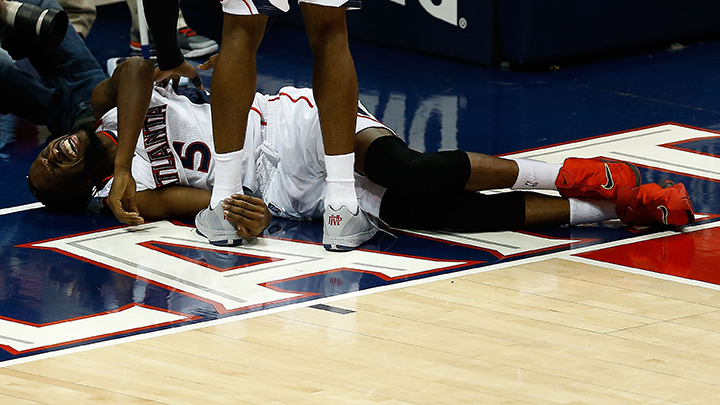 That’s what happened in Atlanta on Wednesday night. 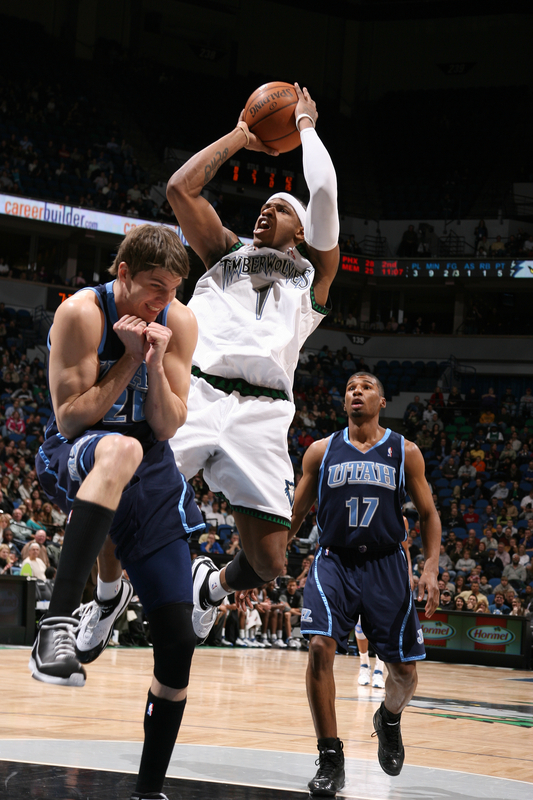 You can make fun of Kyle Korver all you want. It’s a free country. Do your worst. Dig up the old pictures. But be honest here: Would you have done anything different? Assuming Carroll misses at least Game 2, the Hawks’ wing rotation consists of Kent Bazemore, who Bazed his heart out last night filling in for Carroll, and … John Jenkins? Paul Millsap in spot minutes? The Ghost of Mike Scott Past? It’s not pretty. Carroll was arguably one of the five best perimeter defenders in the league this season, which, in the wake of Thabo Sefolosha’s broken leg, is not something the Hawks can replace. But, again, Carroll has been the Hawks’ leading postseason scorer. And he does it in ways that are equally irreplaceable. He is a modern wing, through and through, but there are quirks. At a base level, he is prototypical: 89 percent of Carroll’s field goal attempts come either from 8 feet in or from behind the 3-point line. He’s fifth in field goal percentage (71.9) around the rim in these playoffs among players who attempt at least four of those shots a game, though if you erase some of the noise by eliminating players who had first-round exits, he trails only his teammate Al Horford and DeAndre Jordan. You would never call Carroll a creator in conversation, but he is — imperceptibly. Admirers have called him the Junkyard Dog since his days at Mizzou, and the compulsion of creating your own luck has never left his game. His attempts at the rim are always the result of being at the right place at the right time, and it’s never a coincidence. Entering last night’s game, Carroll was tied with Horford for sixth among all playoff players in putback attempts made. He was the only player in the top 10 under 6-foot-9. Oh, right: He’s also shooting the 3-ball at a 43 percent clip on nearly five attempts a game. So if you’re wondering why Hawks fans are utterly crestfallen, it’s because they know what kind of player they may have lost. I’ve always appreciated DeMarre’s hairstyle. Not only is he one of the few remaining players in the league with braids, but the style in which they are done has always intrigued me. From the back, their form resembles a cornucopia. The symbolism is unintentional, but it isn’t lost upon me: The other four starters may take in more of the limelight, but he is the one who ensures that the lineup shines as a whole; he is their horn of plenty. 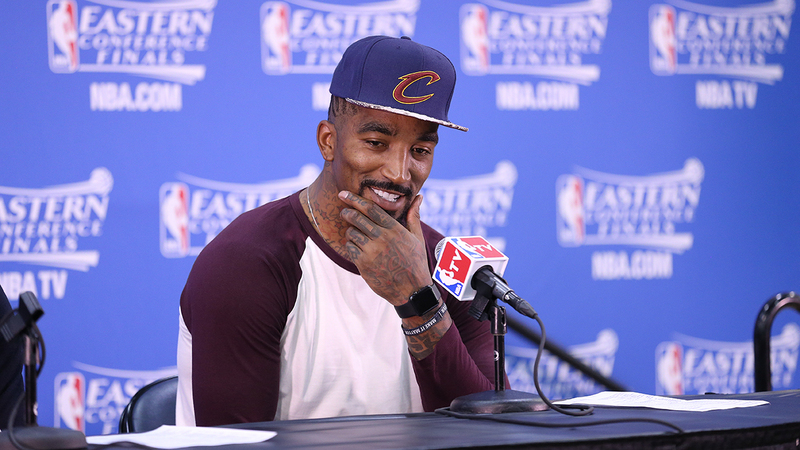 Sharp: I can’t get over this Cavs season. We’ve seen at least four different versions of this team, and what we’re seeing now is 180 degrees from where we started. Remember the team that was supposed to give us one of the best offenses ever? Good. Forget that team until next November. Timofey Mozgov and Tristan Thompson are here to rebound you to death. This might be the only time offensive rebounding has ever gotten a mention in a Shootaround, and it’s happening only because that’s how badly the Hawks were dominated on the glass last night. It was like that two-shots-for-five-bucks carnival game. If you don’t make it, Tristan Thompson will tap it over Al Horford’s head and you get another chance. Not a bad deal! 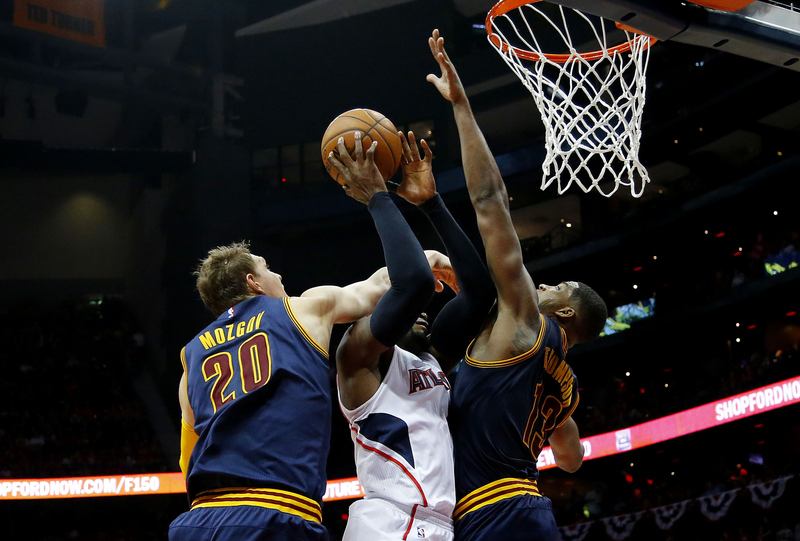 The Hawks were always going to be vulnerable on the glass, but Cleveland is perfectly positioned to exploit it. It’s what kept the game close during the first half. Thompson has turned into one of the best rebounders in the league, and Mozgov is nearly as tough to deal with down low. It’s amazing. Even without Love, even with half a Kyrie, the Cavs can still overpower people. Imagine walking up to someone last November and telling them that the Cavs could ride Tristan Thompson and Timofey Mozgov to the NBA Finals. What? Oh, and speaking of overpowering people: This is also the only Shootaround that will ever mention LeBron last, but crazy things happen when you party with J.R. and Mozgov. LeBron bullied people all night, taking DeMarre Carroll into the post and either scoring at will or hitting guys for open looks. It was the “After” photo in his “Why I Developed a Post Game” infomercial. There was a brief stretch at the end when he got lost in isos and Paul Millsap slowed him down, but then came that dunk that scared Korver out to half court. That ended it. Afterward, he showed off his nitrogen chamber to TNT cameras. It basically freezes his skin at 230 degrees below Fahrenheit? LeBron had 31, 8, and 6. The team has called it a knee sprain for now, but he’s scheduled for an MRI today to determine if there is any major damage in the ACL or MCL.